Monument Man . 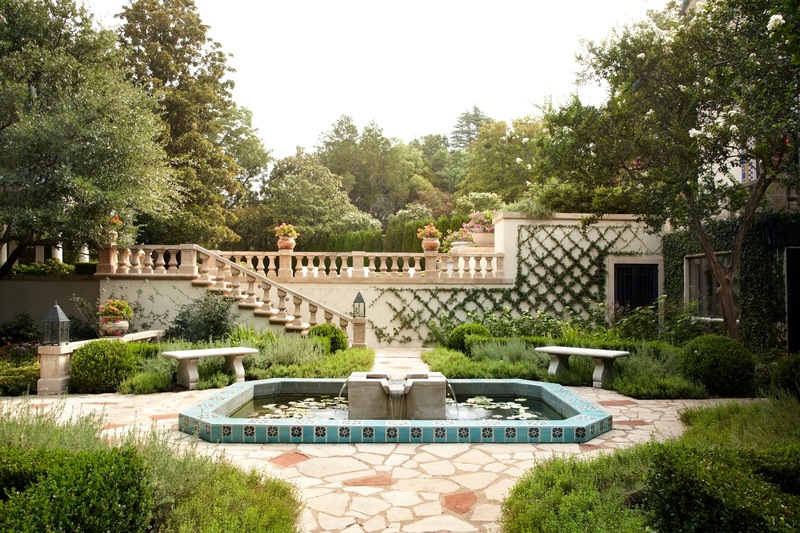 . . this beautifully restored 1926 Mediterranean on Turtle Creek in Dallas belongs to author Robert Edsel, whose book, The Monuments Men: Allied Heroes, Nazi Thieves and the Greatest Treasure Hunt in History, is now a movie directed by George Clooney. Edsel allowed us to photograph his house for Modern Luxury Interiors Texas, which you can find on stands now or online here in the digital edition, page 72. I'm posting a few of my favorite shots here, with permission from photographer Ann Stratton, but to see it all you'll need to read design writer Carla Jordan's terrific story in the magazine. I just love Ann Stratton's shot of the entry, don't you? Stratton, who is setting up a studio in Dallas, flew in from New York to shoot the house for us. Artist rep Renee Rhyner introduced us to her one day, and once we saw her portfolio, we knew she was perfect for the project. Take a look at her food shots on her website—amazing! To get this particular shot, Stratton opened the door to create the illusion of a breeze blowing in—that linen drapery blowing was created when Stratton set the camera on a timer, walked over and held up the left panel, and then let it drop and quickly moved out of the shot. Also, while we were shooting this room, at one point I had to step out of the way of the camera and ended up in another room off the left. I sort of backed into the room, then turned around. I couldn't believe what I saw—a table full of snapshots, including Edsel on set in Berlin with George Clooney and Matt Damon. This was about six months before the movie came out, and it just made me even more excited about getting to shoot his house. 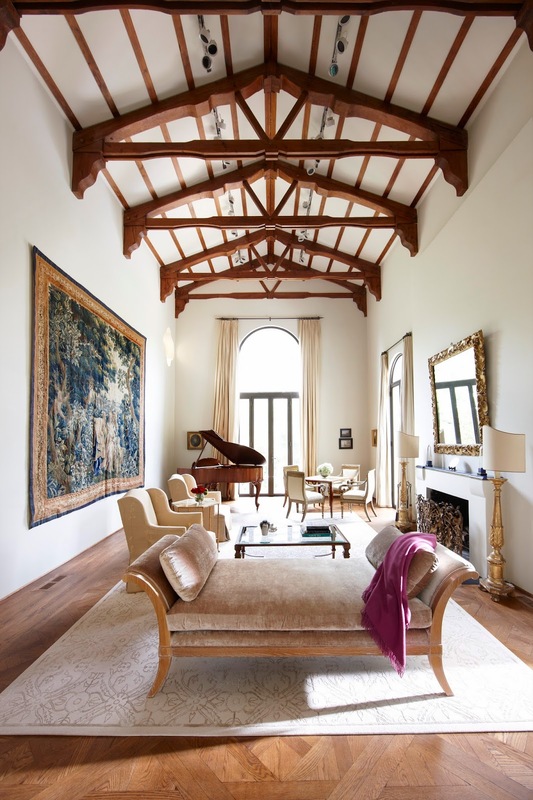 Believe it or not, one of the many previous homeowners built a false ceiling to cover the amazing, original vaulted ceiling. Edsel and designer/architect Ike Isenhour discovered it by mistake during the renovation, along with many other original aspects of the house, including a tile covered balcony on the front. 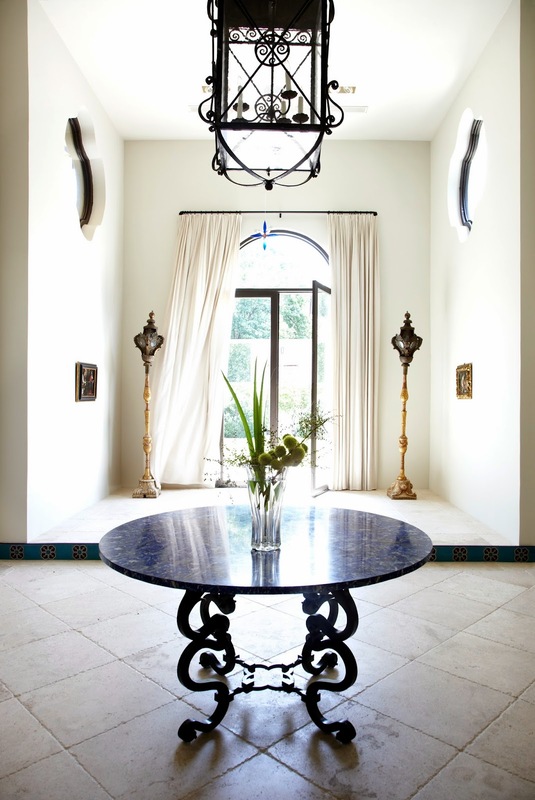 Isenhour took Edel's many Italian antiques and artworks and mixed them with custom, clean-lined furniture and rugs to give the house a fresh, contemporary feel. For this shot, Stratton went looking in closets for a pop of color and came away with this grape colored, cashmere throw. Can you imagine the room without it? 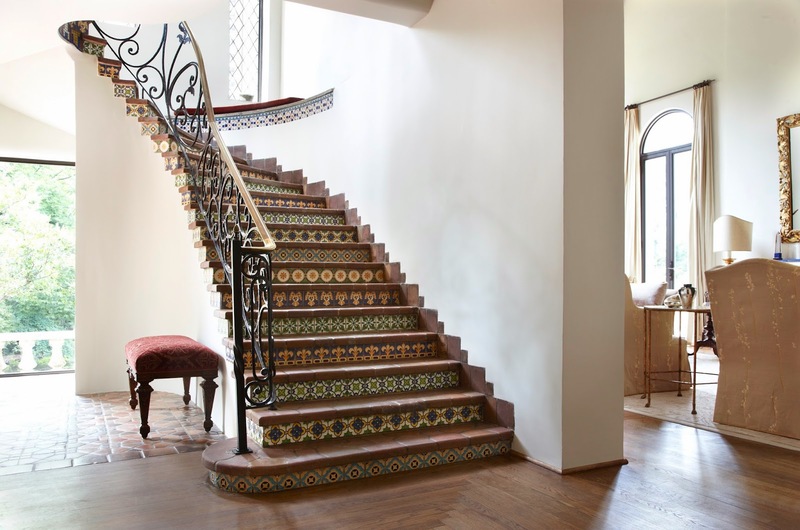 This shot is so compelling not just because of the original tile on the circular staircase, but because it shows how rooms flow into one another. The light's also gorgeous, glittering on the gilt mirror in the living room and washing softness onto the staircase walls. This is probably my favorite room. 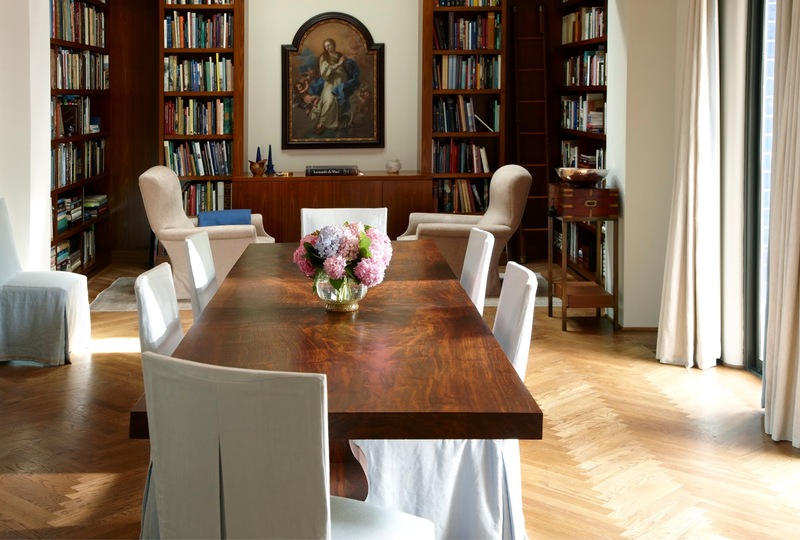 I love dining rooms that have sitting areas with books. The dining table is a solid, felled slab of black walnut, and the blue slipcovered chairs soften the hard-edges of this room. It would be a whole different feel with different chairs, don't you think? For the table, we tried all kinds of different centerpiece options from crystal obelisks to silver candle sticks, but in the end, these pink and lavender hydrangea blooms, which Stratton and I foraged from Edsel's backyard gardens, are perfect. Edsel's front courtyard just looks like something out of Italy, with the different levels and the greenery and tile. I hope you'll take the time to read in Interiors about how Edsel and Isenhour restored and updated this house. And, while you're there, take a look at what else we've covered across Texas. Go here to see the full issue.